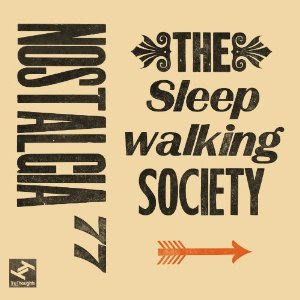 Released 28th February , 'Simmerdown' is the first single to be lifted from Producer Benedic Lamdin's new Nostalgia 77 album, 'The Sleepwalking Society', on Brighton's finest label TruThoughts. Both the album and this single feature the stunning vocals of German singer Josa Peit whose stunning vocals recall some of the best jazz vocalists of the past....Summer's coming, lovely!!! Labels: 10's, Funky, Jazz, New Musik, Vocalist.